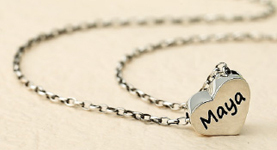 Looking for the exclusive relation between you and jewellery !! 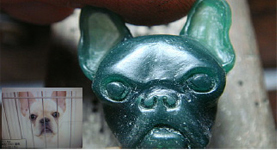 ART64 consecutively provide customer an unique experience by customization service. Customization likes an interesting and fantastic journey. 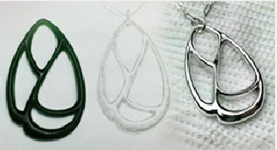 The relationship between accessory and customer is started from design concept. During discussion with our designer, customer will figure out that from the original motive, decision on the style and spec, and understanding on the process step by step, can and will convey his/ her own feeling and requirements to designer. 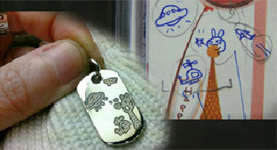 Then unique and exclusive accessory is born eventually. 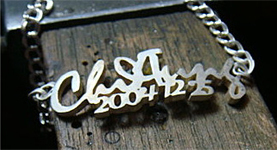 ART64 provide text or handy graffiti patterns engraving services on silver jewelry. You can be commissioned through the photos, we will complete your unique customized Request. 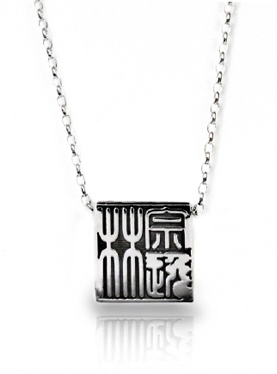 Discover the beauty of oriental writing, the exclusive launch of the carving series, showing your exclusive name on silver jewelry. Provide your simple idea, whether it is the body of the tattoo designs or unique functional request. 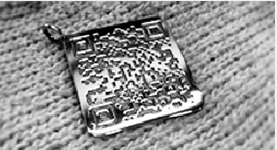 Thick metal design carving patterns on smooth surface, bring different visual sense. Commissioned can be through the preliminary draft and discussions.